Members of the Gloucester Township Police Department and Mayor David R. Mayer pose for a photo in front of the department building before heading out for the festivities. Gloucester Township celebrated its National Night Out Tuesday, Aug. 7, in a bigger fashion than ever before seen by the community. The annual celebration saw approximately 40 officers go out into the community with a slightly different purpose than usual. In recent years, some relationships between local police departments and the residents they help protect have taken a hit across the country. National debate and isolated incidents in specific areas can often cause tensions and emotions to overflow into other communities. It’s reasons like this that make the NNO so different and more enjoyable for members of the Gloucester Township Police Department, as members of law enforcement meet with residents in a more casual setting than usual. Community Relations Unit Commander Lt. Mark Benton understands the importance of such a day, stating the department seeks year-round to be active in the community, with NNO simply allowing officers the chance to do so on a larger scale in a single day than any other part of the year. For the festivities, the department sent out approximately 40 officers to make 30 visits to local barbeques, block parties and other events around the township to allow residents the opportunity to speak with law enforcement in a more casual setting than typically possible. One main goal is to improve the overall relationship between the two groups. Mayor David R. Mayer believes all towns should recognize the importance of a day like NNO to help maintain a positive relationship between police departments and residents. 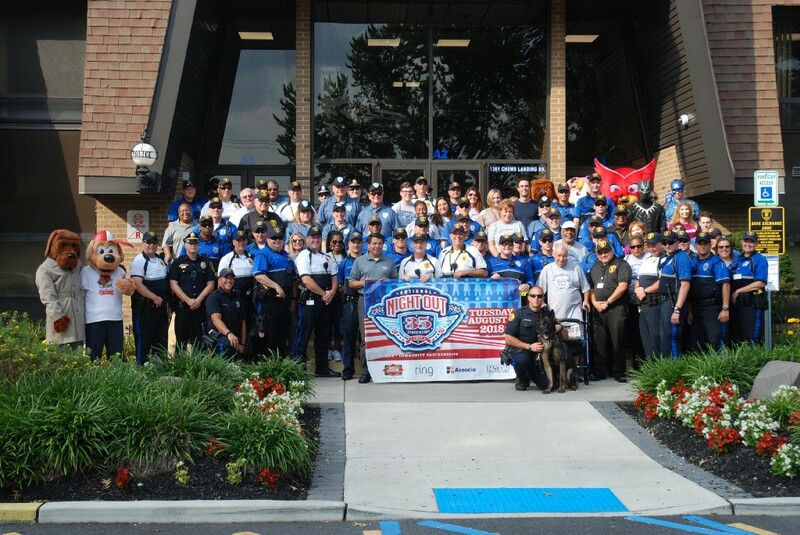 In 2017, Gloucester Township was awarded eighth place in the nation, and first in the state, in category three by the National Night Out Awards Committee. Placement is made by the judges on the observation of seven factors, including attendance, media coverage, special events, and more, according to National Project Coordinator Matt Peskin. On top of law enforcement making appearances to dozens of events around town, this was the first year that Veterans Park was the site for a carnival-style event in the evening, with fireworks at night for residents. Local businesses and organizations helped fill the field with games, tables, tents and other attractions. National Night Out, an initiative launched three decades ago, aims to promote police-community relationships by bringing law enforcement and residents together under positive circumstances to open up casual conversation.